Hayden Paddon made it a perfect five from five by winning Hyundai New Zealand Raglan Rally of the Coast on Saturday, but Grant Blackberry and John Silcock wrapped up their respective Brian Green Property Group New Zealand Rally Championship titles. The World Rally Championship star secured his fifth win from five starts in the national championship to cap a dominant season at home. 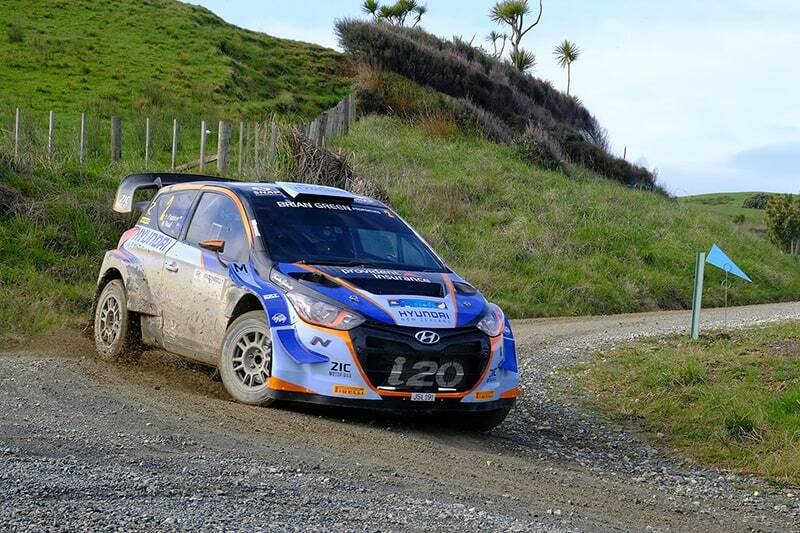 Paddon had already secured the championship at the penultimate round on the Coromandel. Subaru’s Ben Hunt took second place after another near-flawless drive that locked in a runner-up spot in the championship while Raana Horan completed an impressive first full season in the NZRC by taking third place overall in the rally. Horan got the Dunlop Drive of the Rally in his Skoda Fabia R5. Holden’s Josh Marston drove a solid event at Raglan to take third place in the championship. John Silcock and Grant Marra’s consistency shone through at Raglan as it has done all season and the pair did enough to win the Historic 2WD championship despite being upstaged by Regan Ross and Samantha Gray for line honours. Ross got some consolation by winning the Hella Moment of the Rally for a spin just a couple of corners into the opening stage. 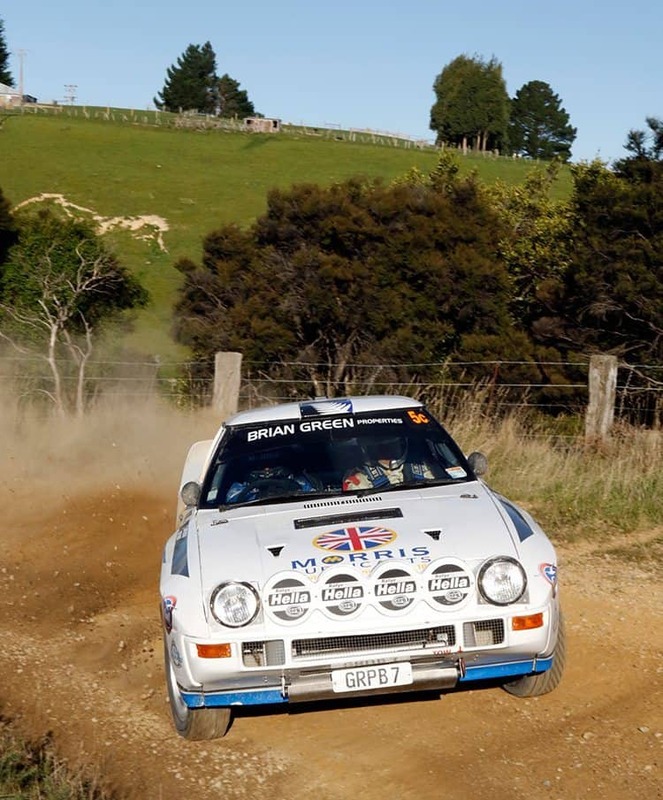 Geof Argyle produced a stunning drive on the final stage to take honours in the Gull Rally Challenge 4WD at Raglan but Grant Blackberry did enough to finish second in the class ensuring he secured the overall Gull Rally Challenge championship alongside co-driver Ric Chalmers. Blackberry had led for the majority of the day but he made a smart decision to not push too hard on the treacherous Whaanga Coast – the final stage of the day. Argyle’s drive was rewarded with the Gull fuel vouchers. Dylan Thomson and Amy Hudson completed the perfect season in the MotorSport NZ 2WD class – winning their sixth straight rally to end a highly successful stint in the Ford Fiesta. Wayne Pittams and Chris Davison had already secured the Open 2WD championship heading into Raglan but they secured another class win despite Pittams battling ill-health over the weekend. Marcus van Klink and co-driver Dave Neill secured the Gull Rally Challenge 2WD win and took out the championship while Chris Sheriff and Daniel Vernall won the Stadium Finance Group A Challenge class. Matt Adams had secured the Group A title on the Coromandel and entered a different class at Raglan.